Ever do a workout and think: wow, that was so fun I want to share it with EVERYONE I KNOW? Well, that’s exactly what this partner workout was like for me. I did it at the Fit Pit with a buddy as laid out below, but you could certainly apply the overall concept — a 15-minute AMRAP where you each take turns doing certain moves — to fit (ha, “fit,” get it?) whatever equipment or space you have access to. For example, you could easily swap the run or row for a minute or two of high knees, jogging in place or jump rope, and the kettlebell swings and push-presses could become lunges, push-ups or tricep dips. Feel free to get creative — but definitely push the pace. Partner 1 will do the first move (run or row 200m as listed below) and as soon they’re done, partner 2 will do the same move. 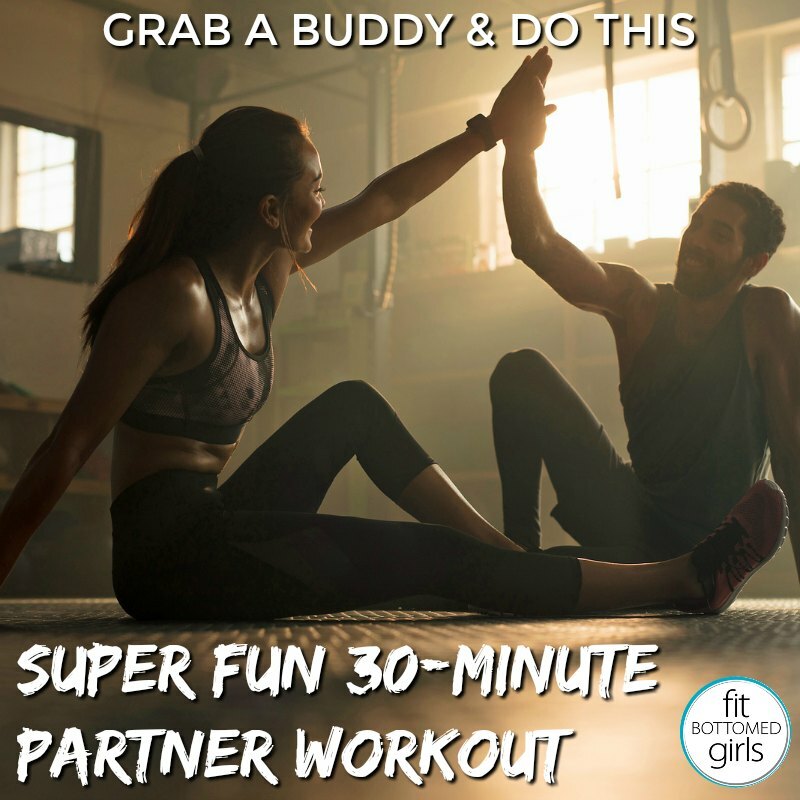 As soon as they are done, partner 1 will do the second move (kettlebell swings or push presses) and then, once they’re finished, partner 2 will do it. Keep repeating this pattern until 15 minutes is up! Want to make it a touch harder? Of course you do, you badass you. While your partner runs or rows, try holding a plank! Great post. such a nice information. These words are good. that’s exactly what this partner workout was like for me. I did it at the Fit Pit with a buddy as laid out below, but you could certainly apply the overall concept — a 15-minute AMRAP where you each take turns doing certain moves — to fit (ha, “fit,” get it?) whatever equipment or space you have access to. I love this idea. Working out with others is always a good idea to stay motivated and keep going when normally you would give up. I would love try this work out! Great combination for doing a (HIIT) workouts…. keep sharing such new and effective combinations with us.